Is your significant other a true classic? Maybe she has the elegance and class of Grace Kelly? Or perhaps she’s a flashy, tour de force like Elizabeth Taylor? Or maybe she’s charming like Audrey Hepburn? 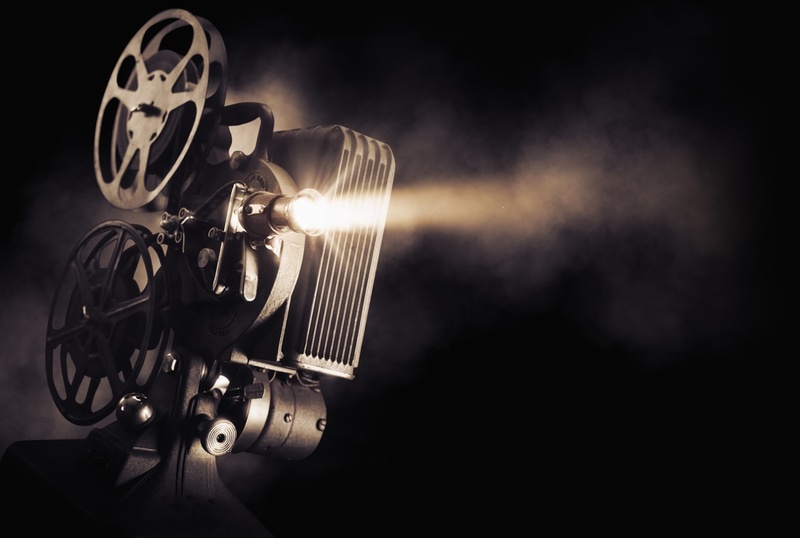 Perhaps, she’s also a fan of classic movies, loving everything to do with the Golden Age of Hollywood and regularly tuning in to watch Turner Classic Movies. 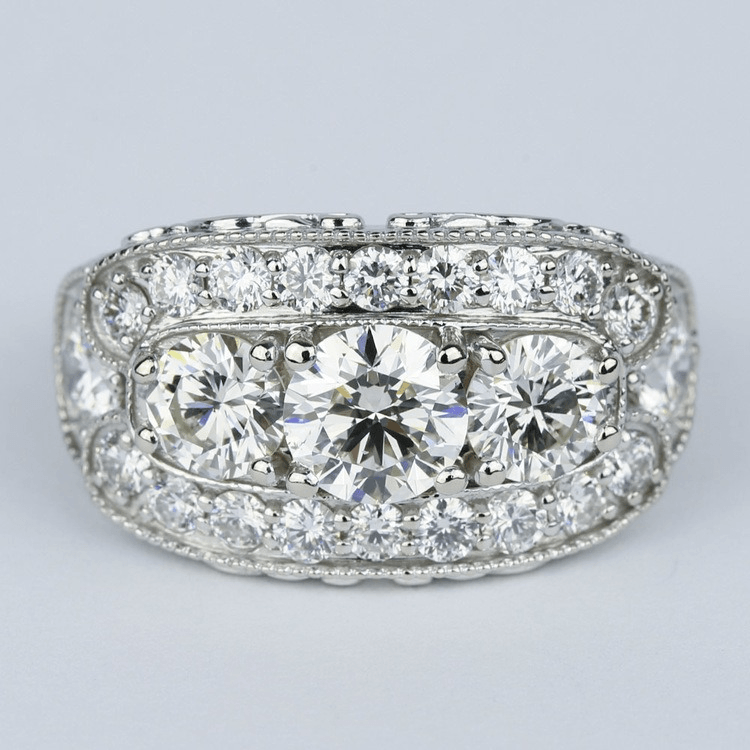 If so, there’s nothing more swoon-worthy than a vintage-styled engagement ring that reminds us of a true classic — just like her. Marilyn Monroe said it best, “Diamonds are a girl’s best friend.” And the iconic song, featuring Marilyn in a stunning hot pink gown features prominently in this beloved film, co-starring Jane Russell. 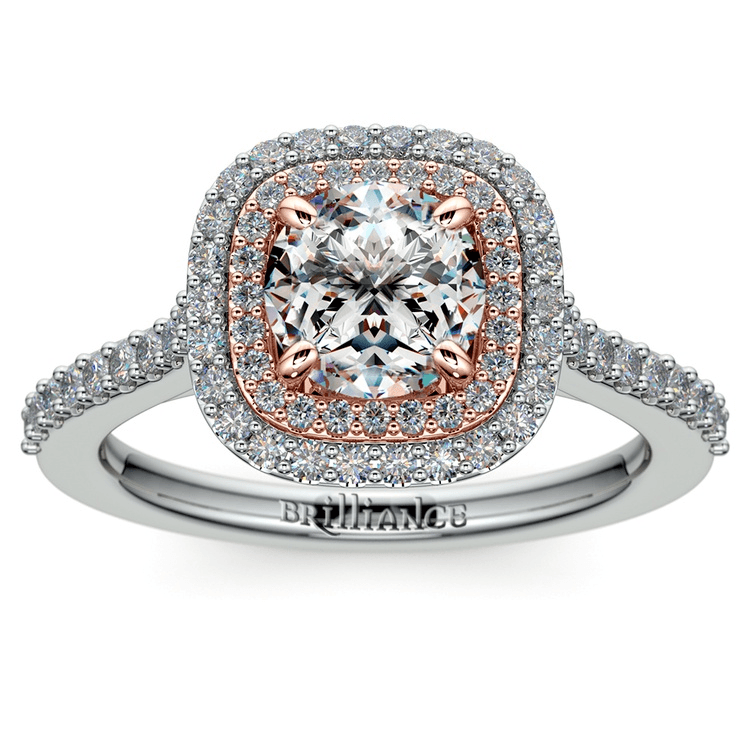 If you want to make a statement that diamonds are truly your girl’s best friend, go with this Vintage statement three diamond-engagement ring — so flashy and jaw-dropping, it’s a ring even Marilyn would obsess over. Grace Kelly very famously wore her own engagement ring, given to her by Prince Rainier of Monaco, in this film. 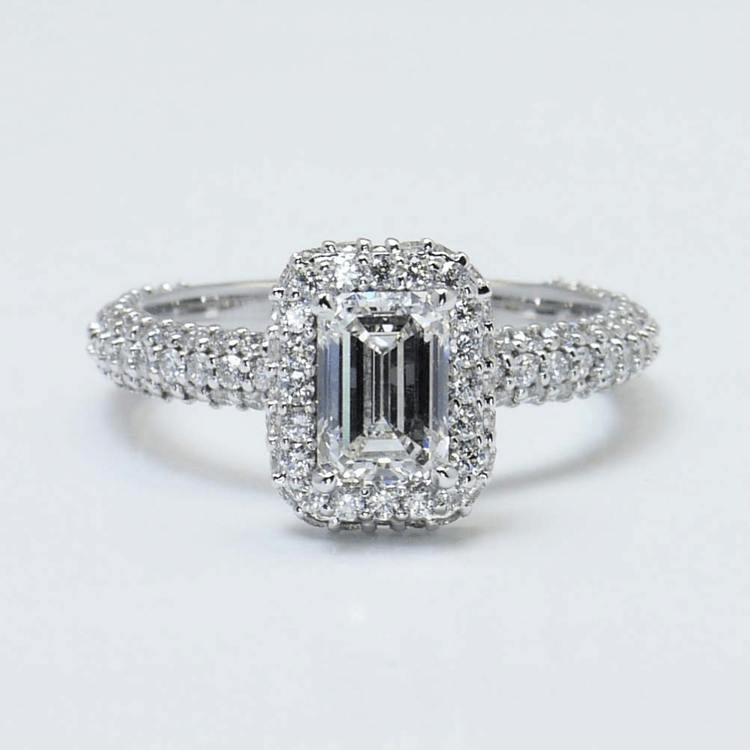 Her emerald-cut ring became the toast of Hollywood and the stuff of legend when showcased to spectacular effect in this musical take-off co-starring Bing Crosby and Frank Sinatra. 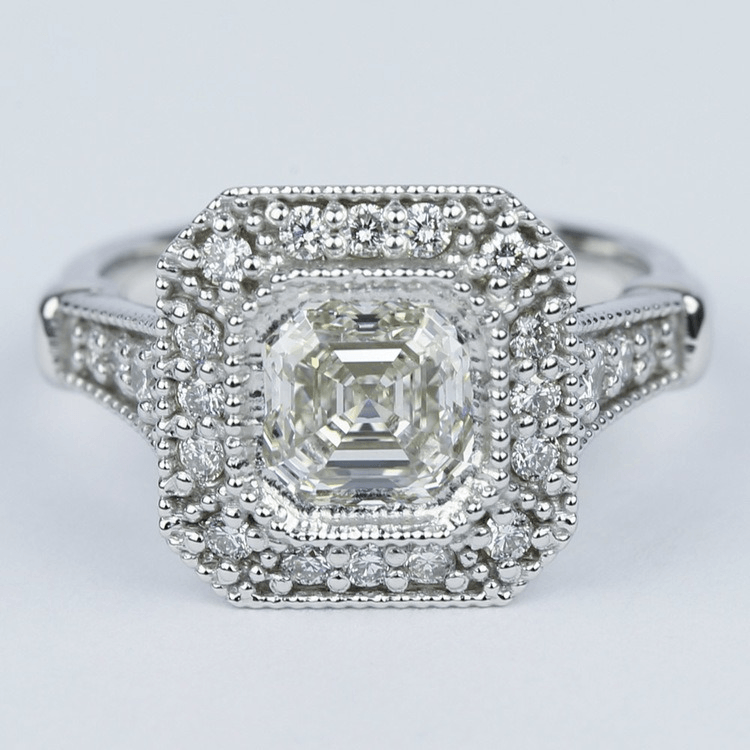 Imitate Kelly’s impeccable style and royal romance with this vintage emerald-cut halo ring that is fit for a princess. Maggie the Cat just wants to be loved — and so did Elizabeth Taylor, famous for her eight marriages and her astounding collection of jewelry. 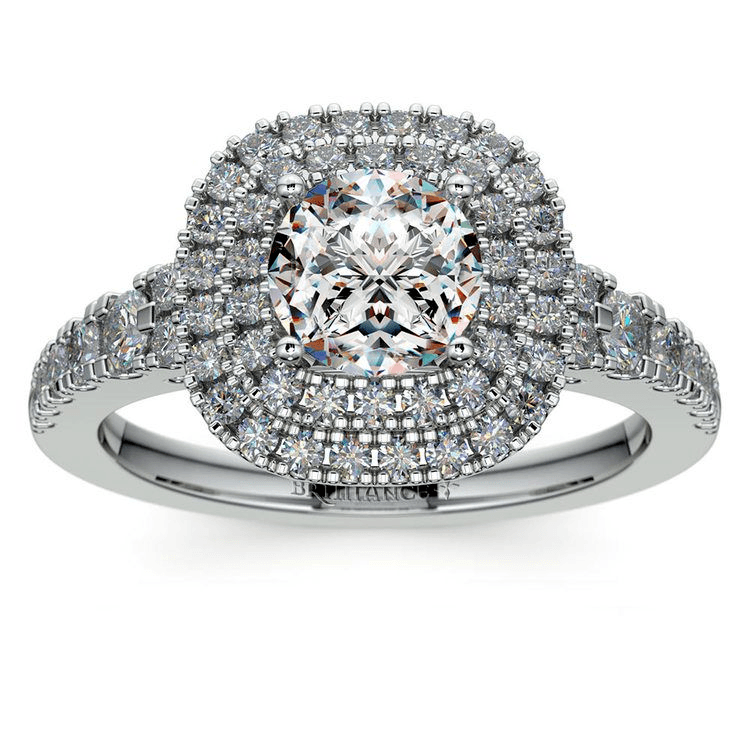 Emulate Taylor, who is at her most electric and spectacular in this film, with a major piece of bling like this Double Halo ring. 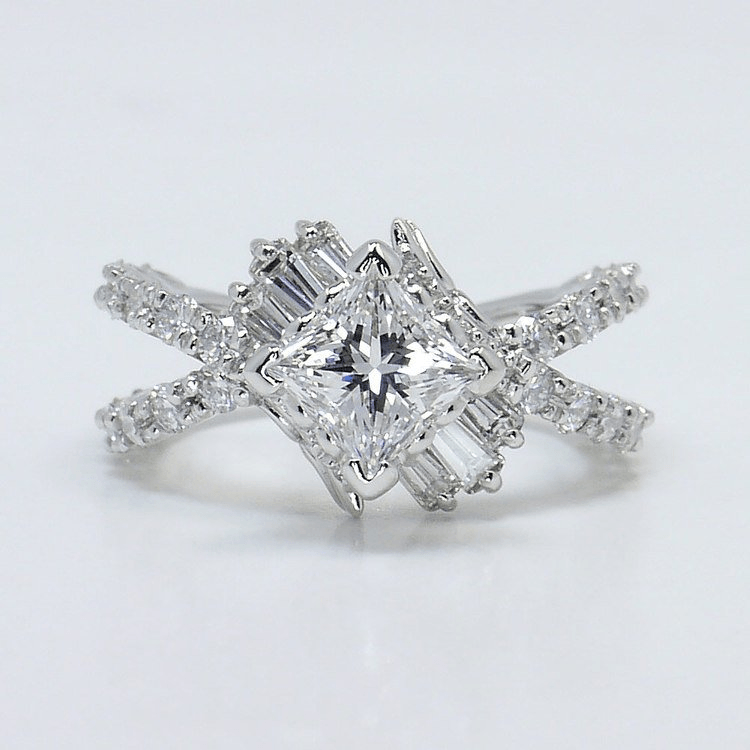 To truly get the Taylor look and imitate her famous Krupp diamond, given to her as an engagement ring by Richard Burton, make sure to customize with an Asscher cut like the one in this vintage-inspired halo ring. Audrey Hepburn brought her own indelible sense of style to Holly Golightly and the remarkable Givenchy looks she wears throughout the film. 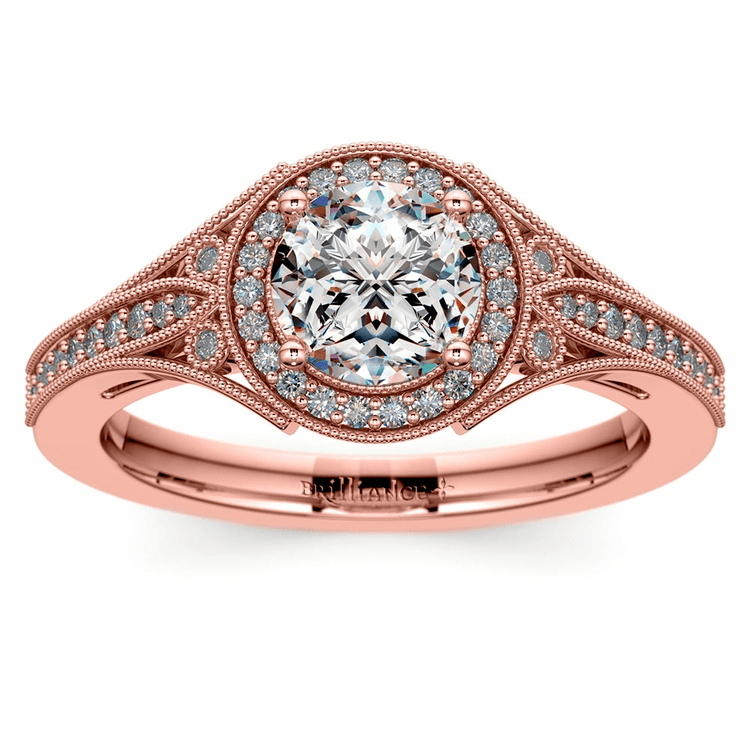 To capture her sense of effervescence and femininity as showcased in this film, opt for something a bit more whimsical like this twisted vintage design, with an extra pop of girliness in rose gold. Rick and Ilsa’s tragic love story makes Casablanca one of the most beloved films of all time. This tale of sacrifice set at a crossroad of the world in Casablanca, also featuring a cast of characters facing their own crossroads simply can’t be beat. 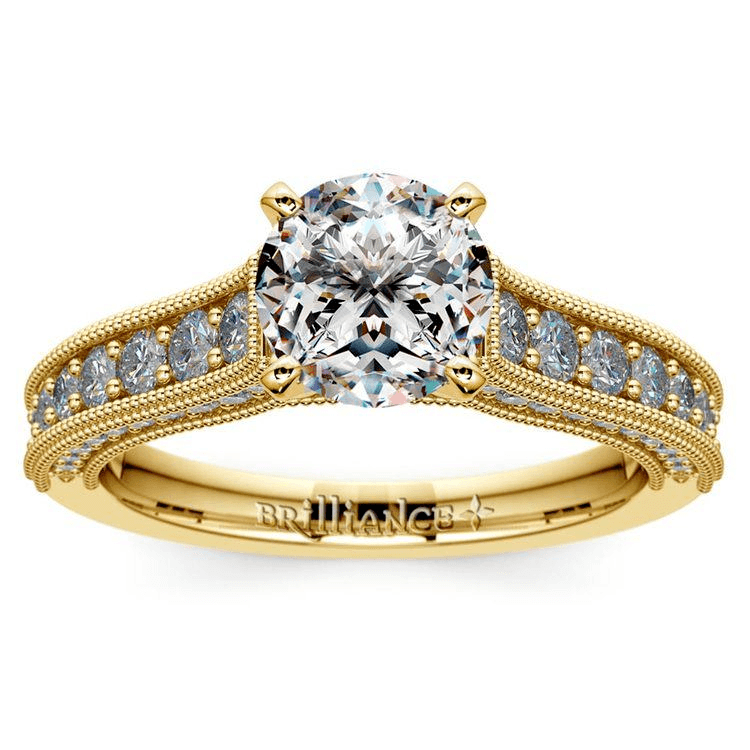 This vintage statement ring with its criss-crossing style that echoes the crossroads of the film will say “I love you” in a unique way as long as time goes by. The tale of Scarlett O’Hara and Rhett Butler is an epic one, set against war, starvation, tragedy, and more. 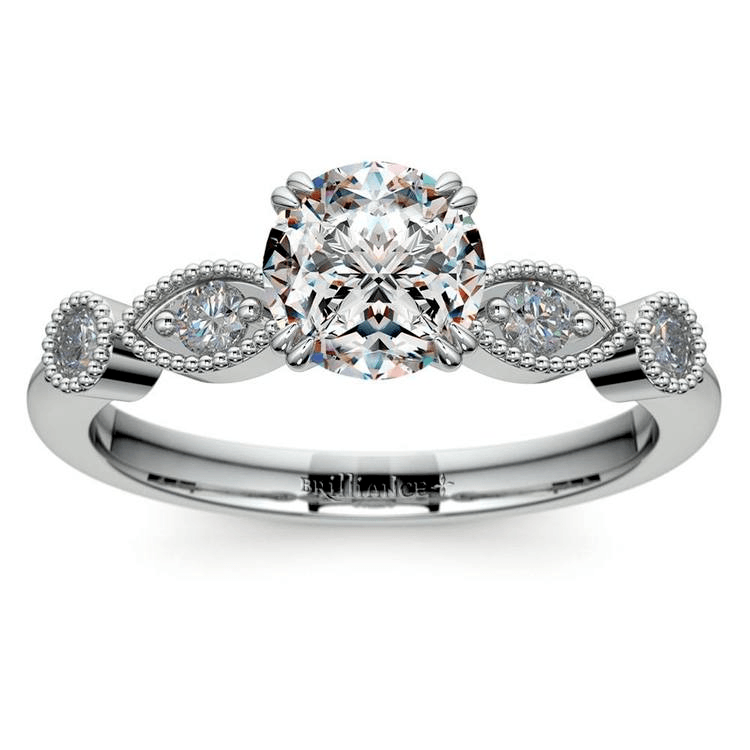 If this romance is your special someone’s favorite film, she deserves a ring as epic as the movie (and one that would make even Scarlett pea green with envy). A double halo engagement ring with a hint of rose gold is the perfect choice — it’s flashy size and silhouette are reflective of Scarlett’s own tastes, while the slight hint of pink underscores the deep romanticism of the film. Frankly, my dear, you do give a damn — and this ring will tell her as much. Is the Wizard of Oz your special someone’s favorite movie? If you want to capture the flair of the ruby slippers with the old-world elegance of the era in which the film was made, consider a ring with a ruby for a center stone to echo Dorothy’s famous footwear. 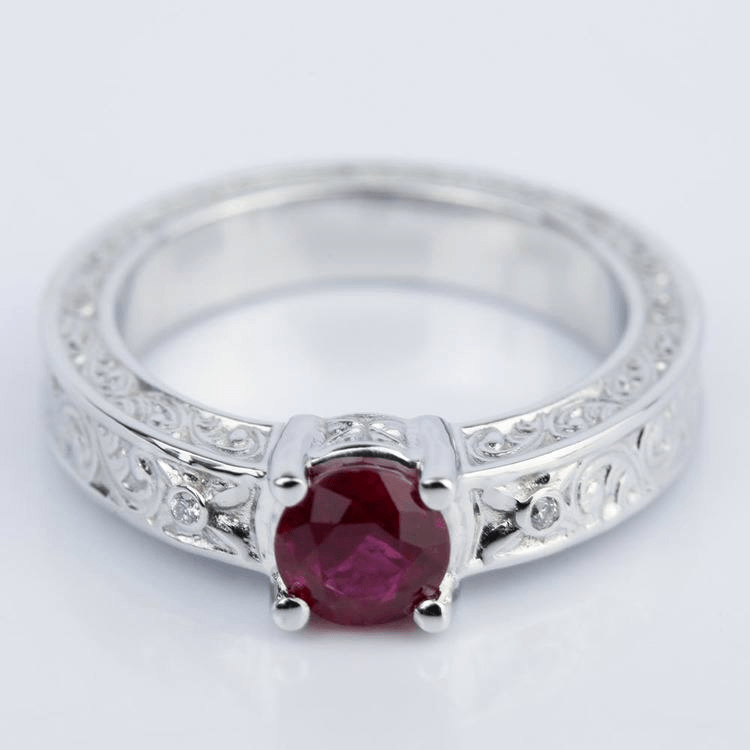 A design like this ruby and diamond vintage ring could be nearly as magical as Glinda. She won’t need to click her heels together three times — with a ring like this, she’ll find that there’s no place like home in your arms. Is your gal a lover of Hitchcock movies? Then pay tribute to one of his finest works with a ring as twisty and complicated as his plots with a twisted vintage style ring. With any luck, your marriage will be less twisted than the obsessive love at the heart of this film, but that doesn’t mean you can’t have a ring celebrating a giant of cinema. With its all-star cast including Bette Davis and its Oscar winning pedigree, it doesn’t get much more classic than All About Eve. 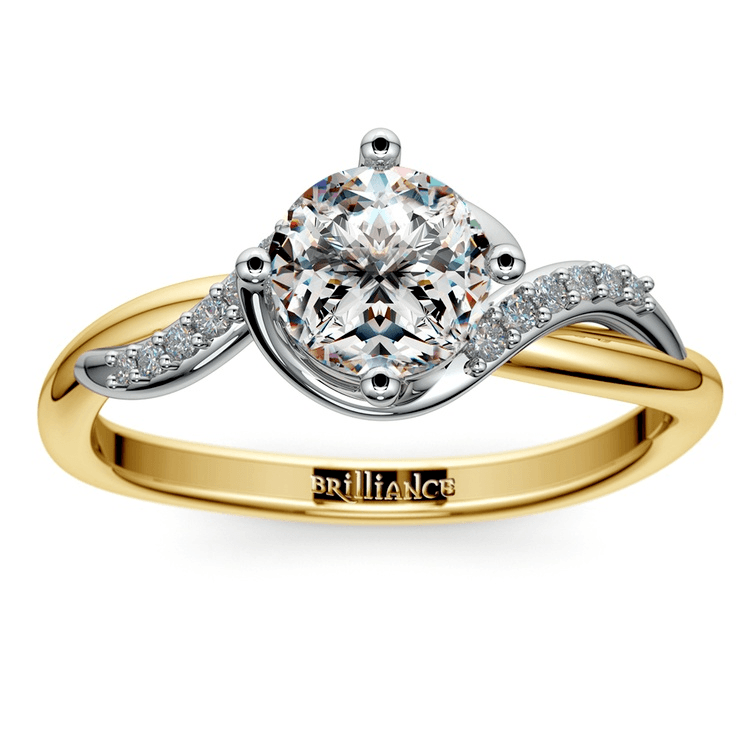 If your gal is as undeniably classic (and classy) as this film, opt for a ring that reflects that, like the simple, understated grace of Edwardian style vintage inspired designs. Perhaps nothing is so distinctive as the art deco era of the 1920s and 30s, a style of dress, architecture, and more which the musical classic Singin’ In the Rain pays tribute to throughout. If your love story is as special as that of Don Lockwood and Kathy Selden, you might want to commemorate it with an art deco style setting that emulates the popular fashions showcased in the film.